When I attended seminary, most of the student body were young men and women who had just completed college. A few like me had spent a couple of years in the military, another graduate school, worked in a secular vocation, or taught school. Occasionally, I would have a class with an older person, usually male, who had been “called to the ministry” at midlife and was seeking a theological education in order to be a pastor. Most of my peers were preparing to work in the local church and being immersed in the knowledge and skills to serve Southern Baptist churches that followed the denominational model of programming and missions. Quite honestly, we were being indoctrinated as much as we were being educated. A recent blog post by Tom Ehrich pointed out that “seminary education is coming under increasing scrutiny, not only for cost-effectiveness but for quality of preparation. As one longtime fan of Princeton Theological Seminary lamented recently, ‘Our seminaries are preparing clergy for a church that no longer exists.’"
An article posted on the Insights in Religion website, however, reports on the increased enrolment of older adults in seminary that come out of traditional churches and hope to serve traditional churches. 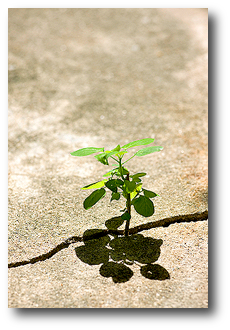 Yet another perspective is offered by Thom Rainer who discusses the “disruptive changes” facing ministers in the coming days that completely alter the landscape, particularly for pastors. All of these commentators point not only to the need to find new ways to educate men and women for ministry, but the challenge to provide an education that will form ministers for a variety of settings. Although I am not an expert on these matters, let me suggest some types of pastors that are needed now and for the future. First, there is the pastor who preaches, teaches, cares for the flock, and administers a more or less traditional congregation. There is still a need for this type of pastor, but the challenge is that fewer traditional churches are able to support such a person because of a decline in membership and financial resources. Increasingly, these pastors will have to be bi-vocational, finding a major source of their income (and benefit packages) outside of the church. Second, some churches need a pastor who will serve as a change agent, assisting the church to transition to a new approach to ministry that fits the context in which it finds itself. This may involve changing worship and ministry style, becoming more racially diverse, or transitioning to serve a completely different ethnic group. Third, increasingly we need hospice pastors who can help a church die with dignity. As painful as it may be to say it, some churches are not going to survive. How can a leader help members in these churches find a new church home, deal with their grief, and be good stewards of the physical resources they have built over the years? Fourth, we need entrepreneurial pastors who can start something new. This may be a new church start, a missional faith community, or an outreach that looks nothing like a traditional church. The most important aspect of such a work is that it will be contextual in form, worship, and ministry. Seminaries and theological schools face a tremendous challenge in retooling their curricula and redirecting resources to provide such leaders for the future, especially since so many of our churches are in denial about the situations in which they find themselves. Theological educators may have to spend some time defining reality for the churches as well as preparing leaders for the future. 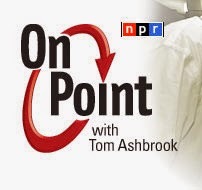 Tom Ashbrook hosted a discussion today on National Public Radio’s On Point that featured Genevieve Smith, author of a recent article in Harper’s Magazine on life coaching. Other guests included Allison Rimm, a management consultant and life coach, and David Ley, a clinical psychologist. The program produced more heat than light, I am afraid. Only Rimm seemed to have a clear concept of the difference between counseling and coaching, although several callers reported the positive experiences that they have had with being coached. Coaches certainly have a long way to go in explaining what they do to the general public. Valid questions were raised if not completely answered: What is the boundary between counseling and coaching? How are issues of confidentiality and liability handled? Why aren’t coaches regulated in the way that therapists are? How much training should one expected of a person who is a practicing coach? When you employ a coach, aren’t you just “hiring a friend”? If I could have responded to the question, I would have pointed out that Christians are called to embrace a holistic approach to life that encompasses work, family, lifestyle, and spiritual growth. 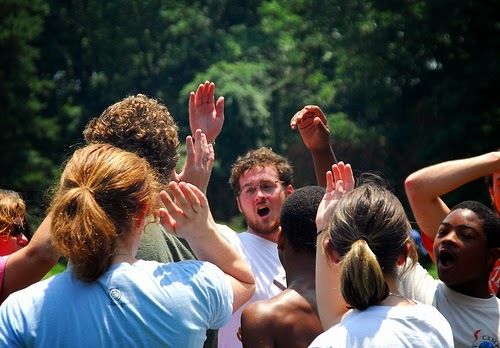 God has given us the stewardship of our lives, a stewardship that is informed by who we are as children of God. If coaching can be applied to one’s work life, why should it not be applied to all aspects of our lives? Coaching encompasses more than just executive development (which seemed to be the primary emphasis of this program). I don’t advertise myself as a “Christian” coach, but I am a Christian who does coaching, As such, my beliefs and values inform the coaching that I do without having to impose those commitments on others. Coaching offers a great deal to those who are willing to engage in the process. One of the challenges for coaches is how to communicate that most effectively. 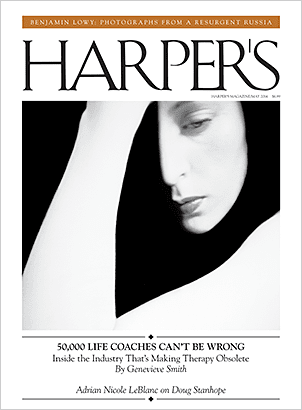 “50,000 Life Coaches Can’t Be Wrong: Inside the industry that’s making therapy obsolete” is the cover story in the May 2014 issue of Harper’s Magazine. Author Genevieve Smith actually participated in a group going through several months of coach training in her research for the article. She also interviewed a number of coaches and prospective coaches. She gets some things right and others wrong. Let me begin with the things with which I take exception. First, Smith participated in a program with Coach Training Institute, the organization that has trademarked the “co-active coaching” model which emphasizes the collaboration between the coach and the person being coached. This is a very reputable program whose training is recognized by the International Coach Federation, but its methodology is only one approach to coaching. Taken to the extreme, the coaching model of CTI can seem humanistic and rather “new age.” There are other approaches in keeping with the ICF Code of Ethics and Core Competencies with a different philosophical basis including those with a faith-based orientation. Second, she quotes Robert Kegan of Harvard’s Graduate School of Education as saying “men in particular have been attracted to therapy in the guise of coaching.” ICF and all reputable coaches make a clear distinction between therapy (counseling) and coaching. Therapy looks backward to deal with significant emotional and psychological issues. Coaching is present and future oriented and designed for reasonably healthy individuals. A professional coach never suggests that he or she is a therapist and will make a referral to a competent professional to deal with counseling issues. Life coaches are not attempting to take the place of therapists. Third, Smith puts a significant emphasis on “monetizing the operation” of being “a thoughtful listener, good friend, and confidante.” The last three terms do not really describe the work of a professional life coach. A coach is not just a listener but a questioner. He or she is friendly but not a friend. A friendship describes a give and take relationship; in a coaching conversation, it is all about the person being coached. The coach is not seeking a relationship that will benefit himself or herself personally. Finally, the coach is more than a confidante. He or she is helping the person being coached to do something with the information being disclosed. Smith does a good job of providing the background and history of coaching as well as the high standards of the International Coach Federation. Although she makes some effort to place the coaching phenomenon within the larger context of changes in the nature of work and the shifting nature of the workforce, a longer perspective will be needed to validate her observations which are (at best) rather superficial. The week began with violence. On Sunday afternoon, I was on the north side of Kansas City when a gunman shot and killed three people on the south side. Once again, violence has been visited on the innocent, something that seems all too common in our nation. And once again the hate was directed against the faithful. The fact that the gunman intended to kill Jews and ended killing Christians only reminds us that an attack based on hatred against any person—no matter that person’s race, faith, or social status—is an attack on all of us. This is a week that ends in violence. Jesus is flogged, ridiculed, forced to carry a cross through Jerusalem, and crucified. His death is bloody, brutal, and very public. There are many theological interpretations of the crucifixion. Whatever you believe, two things seem central. First, humanity put Jesus on that cross. Not just political or religious leaders, but people like you and me. No matter their motivation, they justified their actions as being good of the people. Second, Jesus accepted this violence against his person. In so doing, he stood in the place of all who suffer—past, present, future. He identified with our humanity. What a paradox! Humanity put Jesus on the cross and he, in turn, accepted it on behalf of humanity. When people are killed, mutilated, and abused, we grieve but are we willing to take the step that Jesus took and willingly stand in their place? How do you explain taxes to a three-year-old? I was leaving the house one day last week to pick up the completed tax return from our preparer. Cooper, our grandson, asked where I was going. When I told him, I could tell that the idea ‘taxes” was not on his radar. I started to tell him that taxes help pay for the fire fighters and police officers (but they are only indirectly funded by Federal tax money). I did tell him that the money we paid to the government helps build our roads. I suppose I could have told him that the money helped to pay for our military but really did not want to go down that road too far. As I thought about this later, I could have explained that our taxes (at least for now) help people who are sick and do not have food. This whole train of thought led me to think about the things that our tax money pays for that were provided in other ways in the past. When people were less mobile, more connected to their neighbors, and involved in the local churches, many of the needs for food, clothing and even medical assistance were provided by churches and church members. There was a community awareness and a commitment to those we knew that motivated us to reach out and help. We no longer live in such times. Class and economic divisions isolate us from one another. Those of us who live in “good” neighborhoods don’t know our neighbors much less those who live in “less desirable” areas. Churches do help people in need but it is often one step removed from the congregants and provided through professionals or social service organizations. There are exceptions, of course, but there is a real divide between the “haves” and the “have nots” not only on the national but the local level. Churches and not-for-profits can help to bridge some of this gap, but the situation has become so complex that state and national governments must play a role. There are some politicians who seem to think that we still live in a “Main Street USA” world where churches do all the heavy lifting to help the needy, therefore they believe that programs that address hunger, homelessness, and medical needs are none of the government’s business. Welcome to the real world, folks! I am not overjoyed about paying taxes, but I do it because there are some things that I cannot address with my resources and that can only be addressed on the macro level. I pay my taxes, attempt to alleviate need on the local level, and support organizations that do the same. Now I expect my political leaders to be good stewards of the funds I send to them. Is that asking too much? The moral of the story is this: When you try to explain something to a three-year-old, be prepared to engage in some real serious thinking. 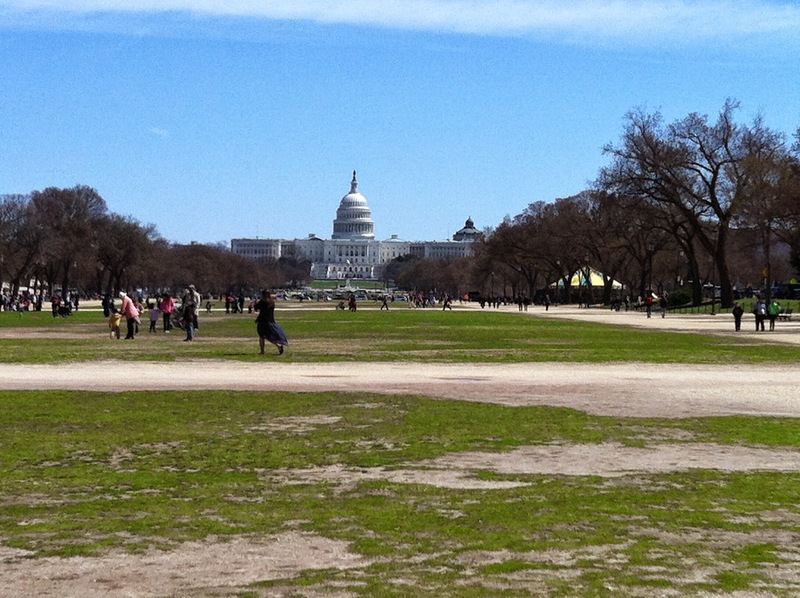 The Mall in Washington, DC, is one of my favorite open spaces. Anchored at one end by the Lincoln Memorial and at the other by the U. S. Capitol building, the Mall is impressive not because of what surrounds it but for what it represents. The Mall is an area that symbolizes the openness of the United States of America to fresh ideas and new people. Certainly, one does not have to look too closely to observe the security precautions even in this area, but I am always impressed by this great open space in the middle of a busy major city. On most days, the Mall is occupied by people walking, jogging, playing games, taking pictures, or just “hanging out.” These are U. S. citizens from many different ethnic backgrounds and many of the states, representing the diversity of our nation. Visitors from other countries are evident as well, coming to see the national capital of our country and its many sights. For me, the Mall is an expression of community. Community does not come easily; it takes work. From the beginning, citizens of our country have been trying to determine what community really means. Who is in and who is out? Despite the noble words of the Declaration of Independence and the Constitution, many were excluded from full citizenship in that community at the beginning. Women were second class citizens. African-Americans were property. Native Americans were an inferior people to be used and abused. People of various ethnic minorities were feared and marginalized. Our understanding of what it means to part of the community in the United States has continued to evolve to match the high ideals of those founding documents. We are not where we need to be, but when I stand on the Capitol Mall on a beautiful, sunny day, I see signs that we are moving in the right direction.